The barbeque alone should probably be more than enough of a reason to make you want to come over to Kansas City. KC has more barbeque restaurants per capita than any other city in the United States, so this alone should provide you with plenty of dining options. Apart from the great food, the city is also where Swope Park is located and it is twice the size of New York City's Central Park. 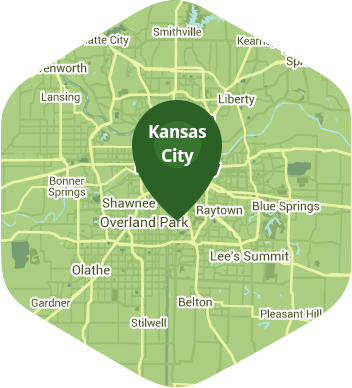 Residents of Kansas City all dream of making their yards look as green as the grass in Swope Park, and at Lawn Love we believe we can help make that a reality with our yard care service. We are bringing the absolute best of yard care service and innovation to this great city, and with our easy to book services and two-minute quotes, you'll finally be able to get the yard that you've always wanted. We have some of the best and brightest green thumbs in the business, and a team of highly experienced independent lawn care experts who are all ready to mow your lawn, trim your shrubs, and do just about any yard care chore you ask them to. You won't have to do anything except sit back, relax, and watch us work our magic on your yard. Don't believe us? Well allow us to prove ourselves to you by calling us at 816-527-9015 or grabbing a free two-minute price quote online. Here are some average prices for homes in Kansas City. Average size of area treated 6,275 sq. ft.